I recently bought Carrara 8 and had to go hunt down the Runtime Add instructions again. 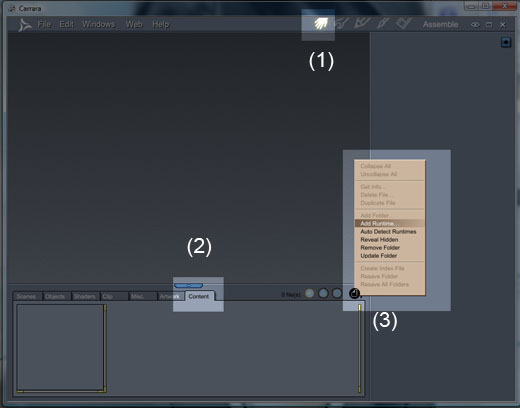 Here are the 2 simple steps of how to add your Poser or Daz Studio Runtime directories into Carrara 7 or 8. Note – The Runtime directories used by Daz Studio and Carrara are both based on Poser’s Runtime structure since both of them use Poser object files. Make sure you are in the Assembly room (denoted by the hand icon on the top right of the screen). Click on the Content tab on the bottom left of the screen. Click on the File/Folder Menu on the bottom right of the screen. This opens up a list of menu items, one of which is Add Runtime. If the Add Runtime option is grayed out, then you may not be in the Content tab (step 2). Add Poser or Daz Studio Content into Carrara. Navigate to your Poser or Daz Studio Runtime directories. After you select Add Runtime, you will get a Folder selection pop-up menu. Navigate to your Poser or Daz Studio Runtime directories. 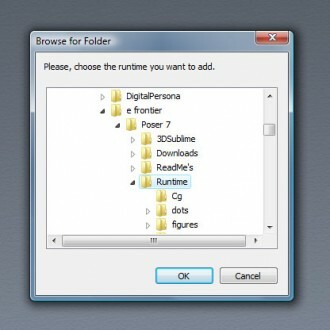 For example, my Poser Runtime directory resides in Program Files/eFrontier/Poser7/Runtime. Select the Runtime folder and click OK.
And just like that, you have added your Poser or Daz Studio Runtime directory into Carrara. You now have easy access to all your 3D-assets and can drag and drop them into the Carrara Assembly Room. You may add multiple Runtime directories by repeating this process. Added my Poser7 Runtime directory into Carrara. Loading all these runtime files for Poser was a nightmare and something was always missing. Is it any easier in Carrera? 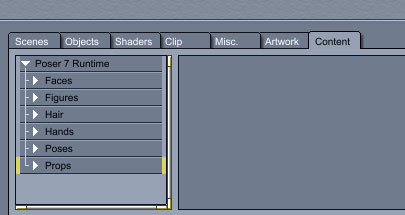 The other tool that made Poser useless was the texture room with cords and outlets and no preview of what you’ve done.